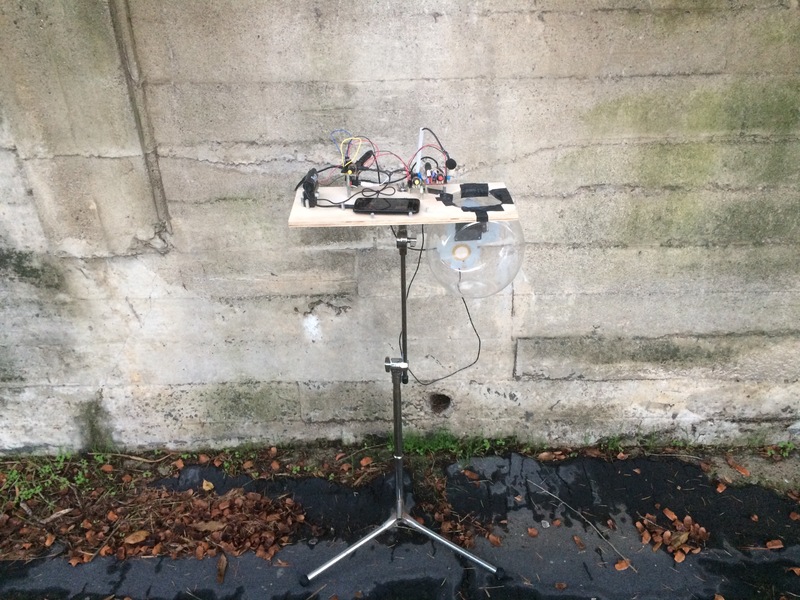 Sound and Habitat Audio Prototyping Environment (SHAPE) is a programmable device which responds directly to environmental sound and is the third iteration of Jason Cress's ongoing audio feedback project. Audio transfer begins with two inputs; a piezo-electric contact mic and an electret air mic. These elements combine to sense both vibration in material of a given resonator and pressure waves in the air. Sound energy is then converted into a(n) analog and digital signal. Both electronic environments are highly programmable—allowing for quick on-site prototyping. Audio feedback and sound recursion are the primary focus, but the device is not limited to these. Essentially, any major form of conventional sound processing is available to the artist in this low-voltage, highly portable, stand-alone device. One could think about this as potentially being a small analog synthesizer, digital audio workstation, amplifier, and real-time processor all in one miniatured configuration. Aside from the recently fabricated PCB, smartphone, and pending case construction, all of the e-components for both input elements can be found easily and reused from old speaker systems. The iRig device is currently being reverse engineered for future integration. And, open source software such as Pure Data and MobMuPlat make any Android or iOS device compatible with this system—thus facilitating second-hand use of virtually all smartphone models. Considering the portability and cost-effectiveness of this project, the SHAPE is particularly adept at facilitating outdoor applications such as sound installations or musical performances.